Simone Rossini - simone_rossini@hotmail.com - An excellent Cozumel Underwater Diving instructor who can help anyone learn to enjoy diving and make your Caribbean Dive Vacation wonderful. 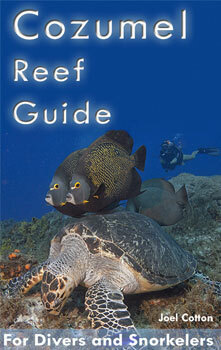 He can help anyone improve their dive skills, as he is one of the best divers on the island. Cozumel Scuba Repair -22 years of continuous service on the island repairing scuba gear. Our technician is completely certified in all makes of regulators. Better prices than the US. Full retail store with BCD's, regulators, wetsuits, and all accessories. Storage facilities are available. Leave your gear and get it next time you come to Cozumel for Cozumel Scuba Diving. Rafael de la Parra - A dedicated marine biologist who will sometimes take interested people to see and swim with the Whale Shark Diving Cancun. Rafael lives in Cancun. See our trip advisor reviews for Cozumel restaurants and Cozumel Dive Resorts by clicking here. Maritime Injury Center - While working in the maritime industry can be exciting and lucrative, it can also be highly dangerous. If you’ve been injured on the job, you have rights and options. Please contact us regarding listings and advertising rates on this site. We are also interested in link exchanges.